We are passionate about creating the next generation of applications that are driven by artificial intelligence, which we power using a technology we have invented called Semantic Social Intelligence. 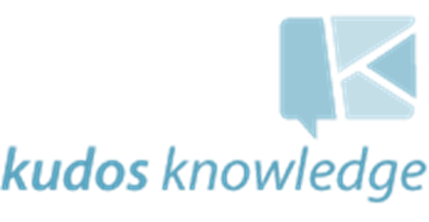 What is Semantic Social Intelligence? Semantic Social Intelligence is a form of artificial intelligence that has the ability to discover meaningful relationships inside any content. We use this to enhance the user experience, typically by making meaningful connections that the user was hereto unaware of, as well programming our applications to learn from human interaction and adapt their results to the user’s needs or interests, even as they evolve. We have encapsulated this technology into a Semantic Platform, which we use to drive our own products, but which also allows any 3rd party application to utilise this technology to create superior solutions, by using our publicly available API. To start using the API and register for an API key, please visit the API Documentation. 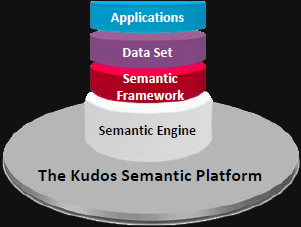 What is the Semantic platform? The semantic platform consists of a pre-constructed semantic word space in which you can place any content collection you like, and have that content expressed in terms of the relationships it contains. 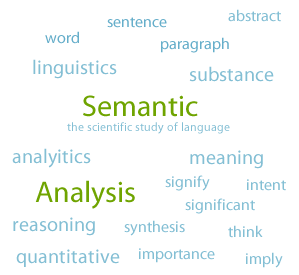 The semantic word space has 200 dimensions, meaning for each content object, its meaning and relationship to other content can be expressed in 200 distinct perspectives. This allows the word space to accurately reflect the depth of meaning of real life relationships. It also allows the engine to discover meaningful relationships between things that were previously unknown. The API and user account allow a third party to access the semantic word space, add content collections to it, and then ask questions about the relationships of that content to other content objects or categorisations. The API is accessed using a query restful URI which returns JSON. Read more about the Semantic Platform and API or review the API Documentation. To harness semantic technology, we use a Semantic Word Space that allows us to relate the meaning of any kind of content object to another content object. A content object could be a word, an article, a tweet, a status update, a book, a person, an action, an event, an emotion, all your social data as one object, anything at all. For example, imagine that we want to represent the relationship of meaning between every word in the dictionary into a 2D picture. We would place words that have a related meaning close to each other, and words that do not, far away from each other. Let’s take 3 words: ‘Pear’, ‘Apple’ and ‘iPhone’. We need to put the words ‘Pear’ and ‘Apple’ near to each other as they have a close relationship of meaning as fruits. In our 2D picture, we place the words ‘Apple’ and ‘Pear’ near to each other. We now want to add the word ‘iPhone’ near to the word ‘Apple’, as ‘Apple’ make the ‘iPhone’, but while it needs to be near the word ‘Apple’, it cannot be near the word ‘Pear’, so what do we do? If we just stick with a 2D picture this is not possible. 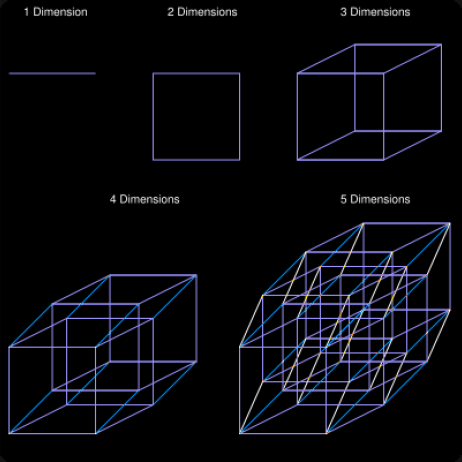 However if we expand it into a 3 dimensional cube, we can put ‘iPhone’ near to ‘Apple’, while keeping it far away from ‘Pear’ by adding a third dimension. The meaning of the term ‘Apple’ is now expressed as a point in 3 dimensions. Our Semantic Word Space contains 200 dimensions! Read more in the API Documentation. 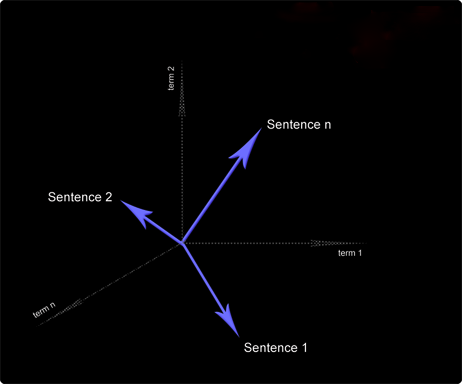 To teach the engine, relevant volumes of written material are uploaded into a conceptual word space, called n space. The particular corpus that was used to create the default or base word space is actually the entire contents of Wikipedia. Words that are often found in similar contexts in the written material, are placed close to each other in word space, and words that are rarely found in similar contexts are placed far away in word space. This dimensional semantic word space now provides a framework of meaning. Each term (or word) contained within the framework has a relational distance to each other term. Because we have provided the engine with enormous amounts of literature (the entire contents of Wikipedia), terms with similar meanings cluster together. For example, the words “job” and “career” will be close in word space and thus the engine knows they have a similar meaning. In most cases the default word space, created with the entire contents of Wikipedia, is sufficient to add meaning to common content, such as news, social data, etc. However if you have a solution that requires specialist language, then an additional corpus may need to be added to the word space. For example, if you have a medical application then a medical dictionary may need to be added, or if a military application, weapons information and tactics manuals may need to be added. While the API comes with the default word space, a custom word space can be created on demand by adding additional literature to the default space. Please fill out the form at the bottom of the page to make a request. 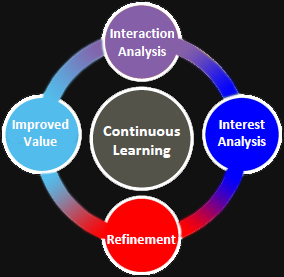 One of the core concepts of the Semantic (Social Intelligence) platform is the ability for the technology to learn about the interests of the user and make intelligent decisions on that users behalf of what information to present, what to exclude, and what is most important to put at the top. We all agree that we are overwhelmed with information because the information streams we are viewing have no understanding of our interests. Thus we have to filter and sort information continuously to find what is important and relevant to a time, place or job. The Semantic Learning Engine can do this job for you by filtering and sorting information on your behalf to give you the relevant stuff straight away. How does the learning engine actually work? Let’s use an example. Say you have an application that presents many different kinds of content items. They maybe articles, emails, tweets, Facebook updates, music, videos, etc. The more you use the application, the more the engine learns about what you like. It does this by taking note of what you do, look at, listen to, watch, share, etc, and makes notes of all those interactions. The most explicit example of this is when you feedback a content item as being ‘relevant’. But the engine is more subtle and can take note of what you look at, read and listen to. As time goes on the engine has more and more information on what interests you. Now when new information arrives, that overall meaning of that new content item can be compared to everything the engine knows about you, and a prediction can be made to what degree you will like this or not like this new piece of content. If the learning engine predicts you will like it very much, it will put that information at the top. If it predicts you will not, it will filter it out completely. Thus the semantic learning engine uses your interaction to learn about you and then predicts whether you will like new content or not, and thus intelligently filters and sorts new information on your behalf, according to its understanding of you. In addition if you create different interest spaces, you can cleverly separate interests according to the information need you have at a given time. For instance you are interested in certain things at work, but different things at home, or perhaps at work you have a number of different research areas you must stay up to date with. The advantage of this technology is you could effectively create a user space for each one, best orientated towards a particular interest goal. Now your friendly AI assistant gets going to filter and sort on your behalf the more it learns about your interest in a certain area. Read more about rating content in the API Documentation. How can you use the Semantic Platform? The API user account comes with access to the default semantic word space. Access to the word space is done through a web service with a restful URI. Content collections or content objects can then be added to the word space, whereupon every object (word, sentence, article, tweet, status update, book, etc) is given a semantic index representing its meaning and relationship to other content. You can connect Facebook, Twitter and Linked In accounts as well as RSS feeds, Email feeds, and News Streams/Feeds for instance. 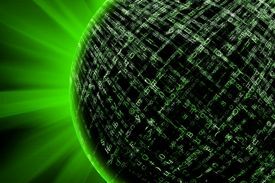 Read more about the Semantic API in the API Documentation.